Creative Workshops in Fabryka Sztuki in April 2018. Workshops "Inspire by Fighting Monkey"
We invite You to open workshop "Inspire by Fighting Monkey" lead by Natalia Pieczuro. An open workshop serves as a basic platform for the Fighting Monkey Practice: it’s an overall introduction to the qualities and ideas that have been developed over the last 15 years of Fighting Monkey research. This workshop is open for dancers, circus people, actors and all movers: anyone interested in human evolution. There are no restrictions or prerequisites, in terms of former experience and background. The work is totally based on Fighting Monkey practice and dedicated to strengthening and elaborating your partnering skills - in other words: your "communication skills". Working with the partner will bring so precious irregularity in the training; will influence our behavior, the diversity of qualities, tempo and rhythm of our movement. Through partnering work - “movement situations”, coordination, work with tools, injury prevention and "being", we will work on strengthening the focus and the awareness - strengthening of the whole system. We will break the patterns, learn new patterns and try to find our wings. We will question how can one learn as much as he can and want? How can one be open to the "new" and still be well rooted? Natalia Pieczuro - born in Wild East; dancer, performer, teacher. Believes that reality is ultimately timeless and in the logic of the universe. Often named: dancer, performer and teacher. Rooted herself with FM practice, studies of anthropology of culture at University of Warsaw and dance in SEAD, where she graduated with a double diploma in choreography and performing. For the last 13 years she has been walking the Fighting Monkey path which gave an axis to her teaching and her life. 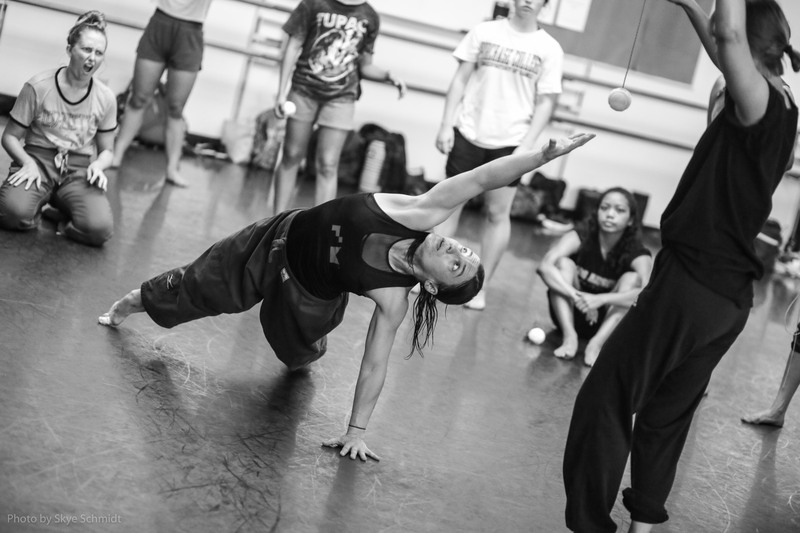 Motivated by an urge for movement as a consequence of being alive and an endless willing to share, her teaching reaches dancers, actors, circus, and sports people, and all the movers. Currently busy with: Fighting Monkey practice and teaching, TCM studies, stillness, awakening of the archetypes together with CHVE (collaboration: “This Kind Of Bird Flies Backwards”) and last but not least - searching for mindful shapelessness under the gaze of Lisbeth Gruwez in the “The Sea Within”. CHOREA Theatre accepts the applications to the workshops until the 26th April 2019, to the e-mail address: chorea.warsztaty@gmail.com. The cost of participation the workshops is 140 PLN / 35 Euro. This is a full workshop fee and cannot be reduced depending on the lesser number of workshop hours in which the participant took part. Payment should be made to Alior Bank: 95 2490 0005 0000 4530 5405 9285 (Swift code: ALBPPLDW). The title of the transfer must include the name of the participant and the workshops title. Full payment for participation in the workshops must be recorded on the bank account of the CHOREA Theatre within 5 days after the organizer sends a return e-mail confirming the participant's entry to the workshop. If payment is not recorded within the above deadline, the reservation is canceled. CHOREA Theatre will inform the participant about receiving the payment by e-mail, and will confirm the attendance to the workshops. The organizer may issue a VAT invoice. CHOREA Theatre will return the payment to the sender's account if the participant resigns before the 10th April 2019. Resignation reported after 10th April 2019 means that the participant can not recover his payment. On 26th April 2019, CHOREA Theatre will send e-mails to all participants, informing whether a workshop group has been created. If the optimum number of participants will not be collected, the workshop will be canceled and all payments will be returned to the sender's accounts. The organizer has the right to cancel the workshops for reasons beyond his control at a later date. In that case all payments will be returned to the sender's accounts. Each participant will take part in the workshops at his/her own responsibility. Each participant should have up-to-date insurance against accidents. In case of any accident CHOREA Theatre is not responsible. The workshops will be conducted in Polish and English. Making a payment is unequivocal with the acceptance of terms and conditions of the above regulations. "Return of Dionysus – between Eurypides and Grotowski "
Wake up your own body and exceed its limitations. Open your voice and revive the word in an intensive action. In a releasing exhaustion, combine the sound with the rhythm, the rhythm with the movement, the movement with the word, the word with the song. 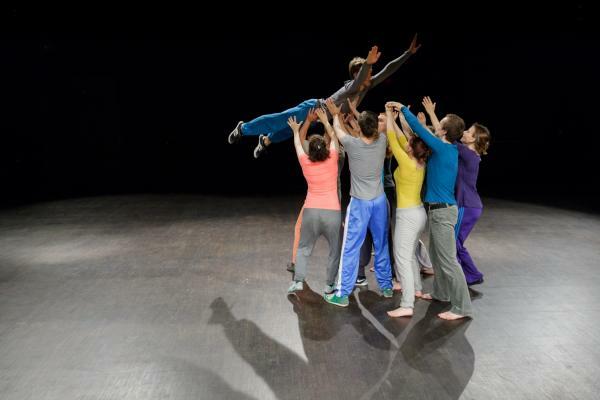 Build precise theatre signs in a collective, polyphonic, choreographic and musical structures. Create a form for the organic spontaneity, restrain the physical element of your body. Discover the strength in the collective actor, which gives real power to the individual. Through dancing and singing, call and meet the Dionysus. 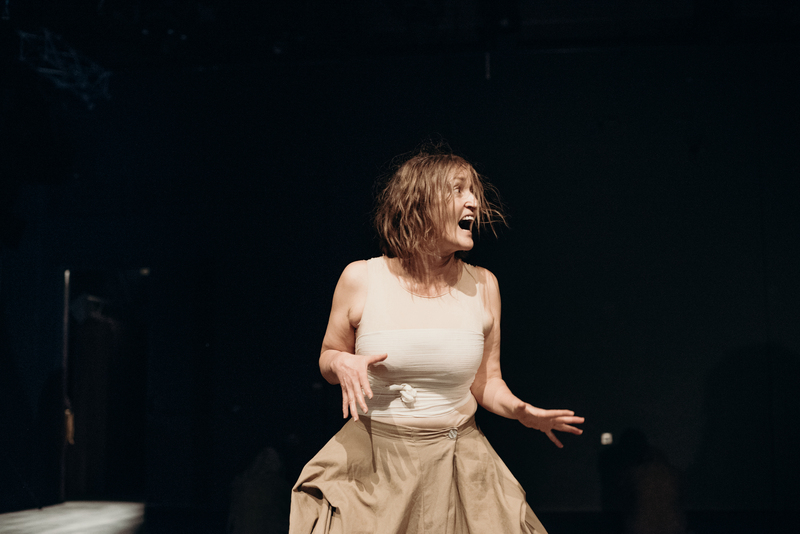 We invite you to the "Return of Dionysus - between Eurypides and Grotowski" – CHOREA Theatre Intensive Workshops, inspired by the work of Jerzy Grotowski and ancient Greek drama and music. The work will be directed by Tomasz Rodowicz - actor, musician, theatre director, leader of CHOREA Theatre, former associate of Jerzy Grotowski, and the best instructors and artists from CHOREA group: Janusz Adam Biedrzycki, Majka Justyna, Tomasz Krzyżanowski, Małgorzata Lipczyńska, Elina Toneva. CHOREA workshops are sharp, dynamic, physical, acrobatic, musical and collective. You will sing in polyphonic harmonies and disharmonies, you will dance in irregular rhythms - in a group and intensity. True Dionysian experience. 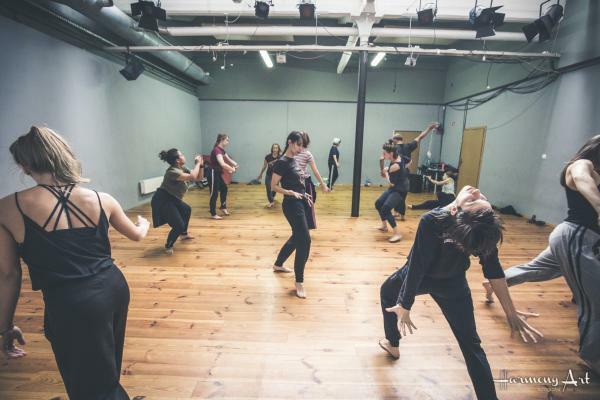 Workshops are aimed at actors, dancers, musicians, performers, theater instructors, animators and practitioners, and people passionate about theatre, dance and music. In Art_Inkubator in Fabryka Sztuki in Łódź spaces, on 3 Tymienieckiego Street, placed in beautifully revitalized, 19th century, pre-war red brick buildings belonging to Karol Scheibler and Ludwik Grohman. At present it is a cultural and entrepreneurial center of the young creative industries, growing and developing. The price of the workshop includes two-course lunch meal per day (vegetarian or meat choice), entry to performance "Hive. Secret social life" by CHOREA Theatre, participation in presentation of the handbook "Actors physical training. From individual to group actions" created by CHOREA Theatre, and participation in film presentation of selected theatre performances, concerts and artistic projects created by CHOREA Theatre. On site we also provide coffee, tea, water, fruits and snacks. Travel and accommodation costs are covered by the participants. Upon completion of the workshops participants will receive a certificate and a workshop script. Applications are accepted until 20th May 2019. Please send the applications to: chorea.warsztaty@gmail.com. Please include bio, CV or short letter of motivation to each application. CHOREA THEATRE is a vibrant group of artists, performers, musicians, dancers, actors, theatre practitioners and theorists. The name of the group is borrowed from an Ancient Greek term, meaning a three-unity of music, word and movement. CHOREA Theatre was founded in 2004 in Lublin. 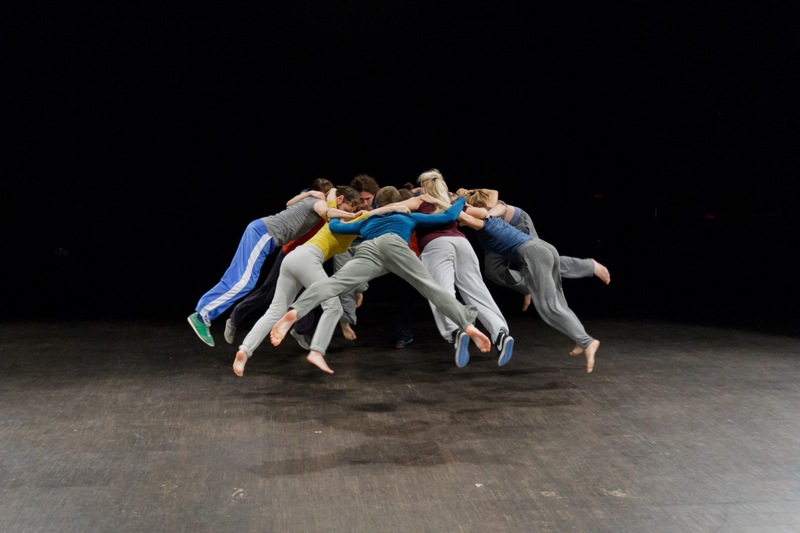 Since 2004 the company have been working in several locations: Naleczow, Srebrna Gora and Warsaw, they also cooperated with Erthfall Dance Theatre in Cardiff (Wales). 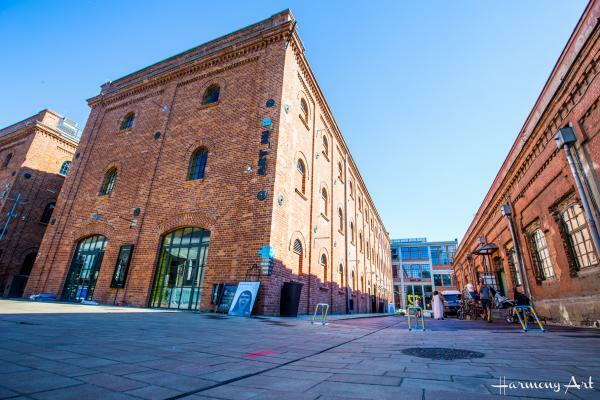 Since 2007 they established a permanent base in the city of Lodz, co-founding a cultural institution named Fabryka Sztuki and they own an amazing industrial theatre spaces (for rehearsals, performances and workshops) situated in the 19th Century factories, named Art_Inkubator in Fabryka Sztuki in Lodz. At the beginning of their activity, the group was carrying out a research on the sources of dance and music, exploring the Antique culture. Currently they deal with contemporary forms of theater, music, dance, performance and modern literature, creating performances and concerts in which tradition and modernity are confronted. The group focuses on problems and condition of modern human. Inspired by the great reformers of theatre: Kantor, Wyspiański and Grotowski, they develop their own method of work and a new way of creating modern theater. The team worked out their own training technique, working with the body, voice and rhythm, working with a partner and working in a group. The purpose of the method is to study the matter of motion, sound and words, combined into an integral whole. CHOREA also focuses on working in environments at risk of social exclusion. During 15 years of activity CHOREA Theatre fully developed its educational and artistic work. CHOREA artists organized many international workshop sessions, transnational artistic projects, their own International Theatre Festival Retroperspektywy, and created more than 40 theatre productions, performances, and concerts. In 2015 CHOREA artists recorded a musical album “Lulabies” and published actors training handbook "Actors phisical training. From individual to group actions". CHOREA group collaborates with artists from all over the world: USA, Great Britain, Israel, Spain, India, Greece, Italy, Bulgaria, Syria, Japan, Russia, Belarus, Czech Republic, Slovakia, Hungary, Georgia, Moldova, etc. During last years CHOREA Theatre presented their performances, concerts and intensive workshop sessions all over the world. In 2009 CHOREA performed during International Meeting on Ancient Drama Festival in Delphi, (Greece). In 2010 we cooperated with Rosanna Gamson Worldwide Theatre in Los Angeles (USA). In 2011 we presented our work in Escena Contemporanea Festival in Madrid (Spain) and in Mayerhold Theatre Centre in Moscow (Russia). In 2012 we visited Stage Centre in Tel Aviv (Israel). In 2011, 2012 and 2013 we performed on Bharat Rang Mahotsav - the biggest international Theatre Festival in India. In 2014 and 2015 we showed our performances in Art Carnuntum Verein für Kunst Geschichte Theater Kultur Festival in Art Carnuntum (Austria). In 2015 we presented our work in Luxembourg (Luxembourg) and in Chisnau (Moldova). In 2015 and 2016 we performed in Tbilisi International Festival of Theatre (Georgia). In 2016 we leaded masterclass workshops in Theatre Academies in: St.Petersburg (Russia), Yerevan (Armenia), Warsaw (Poland), Chisnau (Moldova), Minsk (Belarus) and in China. In 2017 we visited Berlin (Germany), Stockholm (Sweden), and St.Petersburg (Russia) with our workshops and performances. In 2018 we visited Baerum Kulturhus and Sandvika Teater in Oslo (Norway), we leaded an intensive workshop session, in terms of "Polish Theatre Days” during II International Theatre Festival TheATRIUM 2018 in Drama Theatre in Klaipeda (Lithuania), performed in Danube Bend Theatre in Vac (Hungary) in terms of V4 Festival and Theatre Meeting 2018, and performed on Festivalul International de Teatru Pentru Publicul Tanar in Iasi (Romania). TOMASZ RODOWICZ - theatre director, actor, musician, educator, theatre instructor, university lecturer, historian of philosophy. Born in 1951 in Warsaw (Poland). Graduate of the Faculty of History of Philosophy at the Warsaw Theological Academy. Co-founder of Poland’s first social therapy centre for young drug addicts. He collaborated with Jerzy Grotowski in 1974-1979. Co-founder of the Centre for Theatre Practices "Gardzienice" and its member in 1977-2003. Co-founder of CHOREA Theatre and its leader since 2004. Artistic director of Fabryka Sztuki in Lodz since 2007. Artistic director of CHOREA International Theatre Festival Retroperspektywy. Leader of many international artistic, educational and didactic projects and research expeditions. Innovative musical and physical training expert and theatre workshop specialist. 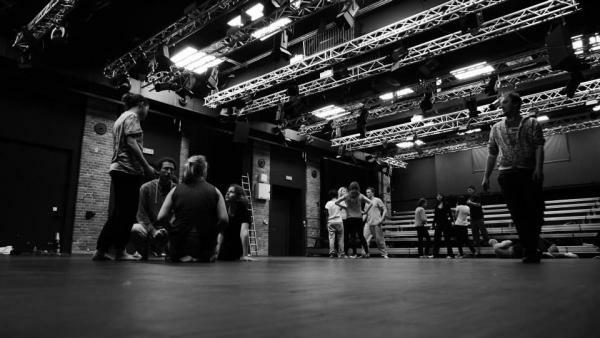 Worldwide authority in leading workshops for actors, dancers, singers, musicians, theatre instructors and culture animators. Author of a handbook 'Actors phisical training. From individual to group actions'. JANUSZ ADAM BIEDRZYCKI - actor, dancer, choreographer, theatre director and theatre instructor. A graduate of the Faculty of Humanities in specialization of Cultural Studies, Folklore and Ethnology, Theater Studies and Film Studies at the University of Maria Curie-Sklodowska University in Lublin. A graduate of Cultural Management at the Institute of Theory of Literature, Theatre and Audiovisual Arts of the University of Lodz. Co-founder and member of the CHOREA Theatre. A graduate of "Educator in the theater" course, organized by Theatre Institute in Warsaw. 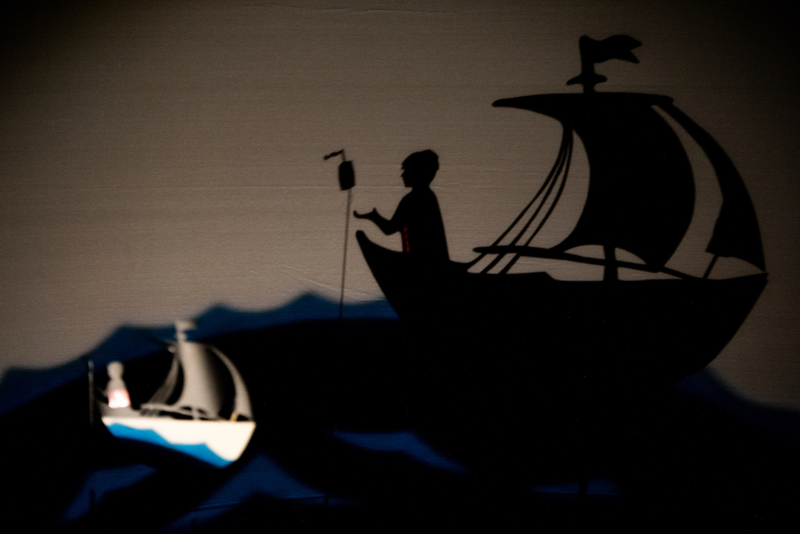 He collaborated with: neTTheatre in Lublin, Kana Theatre in Szczecin, Cinema Theatre in Michalowice and Pinokio Puppet and Actor Theatre in Lodz. Choreographer and director of "Roosters, Badgers and other Goats" performance, and "Fall-PsychoSomatic GAYm" monodrama. Originator, director and producer of the series of workshops completed by the "The Ugly" performance. Scholar of the Ministry of Culture and National Heritage in 2010 and 2014 and scholar of the City of Lodz Office in 2013 and 2017. Initiator and director of the "Vidomi", "Darkness. What is hidden" and "Hive. Secret social life" projects - a series of dance and theatre workshops with the participation of blind and visually impaired people, completed by performances. Co-author of the handbook "Actors phisical training. From individual to group actions". Experienced in leading theatre and dance workshops all over the world (Geerce, Bulgaria, Italy, India, Spain, Belarus, Russia, Sweden). TOMASZ KRZYŻANOWSKI - musician, composer, arranger, vocalist, multi-instrumentalist. Draws inspiration from different musical cultures and musical styles. Composition is his main occupation. He composes music for theatre, movies, art projects, performances, animation, computer games. He is a co-creator and member of CHOREA Theatre, where since 2004 he coordinates and leads the musical work. Since 2011 he is the leader of the CHOREA Theatre Choir. He is a co-founder and percussionist in an alternative music group The Blue Rabbit. Together with CHOREA Theatre he regularly leads theatre, music, rhythm workshops all around the world (RedCat and CalArts in Los Angeles, Center for the Arts at Delphi, St.Donats Atlantic College in Wales, Old Tehelni in Slovakia, Meyerhold Center in Moscow, Theatre Atalaya in Sevilla, Espacio Espiral in Santander, Giving Voice Festival in Aberystwith, The Grotowski Institute in Wroclaw and many others). ELINA TONEVA - actress, vocalist, physical theatre training specialist, experienced theatre instructor. Born in Sofia (Bulgaria). Graduated from Graphic Design Faculty in the Academy of Fine Arts in Lodz. Instructor of Sport and Recreation in Academy of Physical Education in Poznan. Instructor of stage movement and singing in Film School in Lodz. Master Instructor of Krav Maga - Israeli self-defense and combat system. Training expert of marshal arts, combat and self-defense systems. One of the founders of "Ancient Orchestra" - musical project in Center of Theatre Practices "Gardzienice". Member of CHOREA Theatre since 2004. One of the leaders in CHOREA's educational and workshop program. Instructor of traditional Balkan vocal and dance techniques. Experienced in leading phisical, vocal, and dance workshops for actors, musicians, dancers and theatre instructors all over the world. MAŁGORZATA LIPCZYŃSKA - actress, dancer, choreographer, culture animator, theatre instructor. Graduated from Social and Cultural Studies on at the University of Maria Curie-Sklodowska University in Lublin. Dancer in the „Dances of the Labirynth” group. Cocreator and member of CHOREA Theatre. In 2006-2008 worked as choreographer, theatre and dance workshop instructor in Juliusz Osterwa Theatre in Lublin. In 2011 she created her monodrama performance „forsuremaybe”, based on texts of Romanian writer Aglaia Veteranyi. She also worked as a dance instructor in creating an awarded CHOREA Theatre musical and dance performance „Oratorium Dance Project”. Since 2012 she cooperates as dancer, writer and choreographer with KIJO Dance Theatre - a contemporary dance formation. She cooperated with many awarded directors and choreographers and as an actress, dancer and performer she cocreated many international artistic projects, like: „maProject” (international dance project in Vilnus, Lithuania), „Kukła-Kantor/Remix” (neTTheatre, Lublin), „Projest Mermaids” (dir. Gerald Tyler, Warsaw). „From the other side” (Korniag Theatre, Minsk). She is an experienced theatre and dance workshop leader. She cooperates with the Warsaw University and the Institute of Polish Culture in Warsaw as a theatre instructor. MAJKA JUSTYNA - actress, dancer, performer and Ashtanga Yoga teacher. Member of CHOREA Theatre where she is responsible for producing performances and concerts and coordinating educational and theatre projects. She dances since she was 5 years old, starting with folk dance and ballet, then discovering contemporary technics and contact improvisation, falling in love for couple of years in Argentinian tango. She practices Ashtanga Vinyasa Yoga focusing on steady development and finding harmony between body and mind. She cooperated with various artists in dance and theatre projects, like: Yukari Uto "Nigero", Zorka Wollny "Museum" and "Composition for 12 actors and Lido factory", V-J's ElektroMoon on "Octopus Mantra", short movies "Tactum" i "Grzeczny-grzeszny"; dance performances: "Agui i Ahora", "Flying Cicus". Until 2011 she takes part in CHOREA Theatre performances: "Oratorio Dance Project", "The Bacchae", "Derby.White-and-red", "The Crack", "Oratorio of earth", "2.0.4.5 Metaphysical miniopera" and concerts: "Gilgamesh", "Songs of the World", "Enti Vengi", "Lullabies", "Glancesness" and others. 1. CHOREA Theatre Intensive Workshops can be attended by people over the age of 16. Participants under the age of 18 can participate in the workshops if they provide a written consent of a parent or legal guardian. 2. For verification, each participant must report in person or submit an authorization from another person on the first day of the workshop. 3. Each participant will take part in the workshops at his/her own responsibility, which will be confirmed by signing the consent of the workshops participation. The consent will be send to each participant by e-mail. 4. Each participant should have up-to-date insurance against accidents. In case of any accident CHOREA Theatre is not responsible. 5. The workshop participant agrees to publish his/her image for the purposes of the event's documentation and promotion on the Internet, press, television and other types of advertising media. 6. 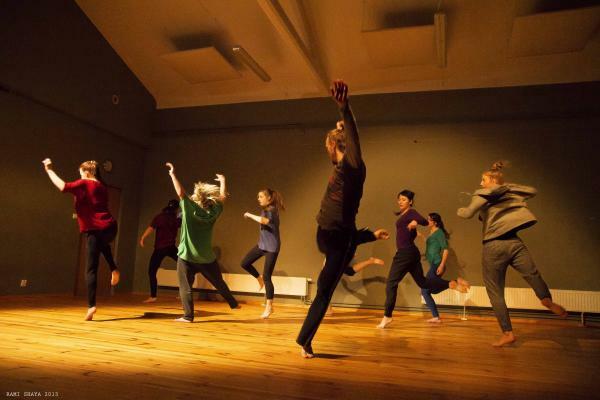 The cost of participation in CHOREA Theatre Intensive Workshops organized and run by CHOREA Theatre on 31 st May - 2nd June 2019, is 750 PLN / 185 Euro (applications until 20th April 2019) and 800 PLN / 200 Euro (applications until 20th May 2019). This is a full workshop fee and cannot be reduced depending on the lesser number of workshop days or hours in which the participant took part. 7. The price of the workshop includes two-course lunch meal per day (vegetarian or meat choice), entry to performance "Hive. Secret social life" by CHOREA Theatre, participation in presentation of the handbook "Actors physical training. From individual to group actions" created by CHOREA Theatre, and participation in film presentation of selected theatre performances, concerts and artistic projects created by CHOREA Theatre. The organizer provides water, coffee, tea, snacks and fruits for the participants, during the whole workshop. After the end of the workshop the participants will receive a certificate and a workshop script. 8. Travel and accommodation costs are covered by the participants. 9. Full payment for participation in the workshops must be recorded on the bank account of the CHOREA Theatre within 7 days after the organizer sends a return e-mail confirming the participant's entry to the workshop. If payment is not recorded within the above deadline, the reservation is canceled. The final deadline for the transfer is 20th May 2019. 10. CHOREA Theatre will inform the participant about receiving the payment by e-mail, and will confirm the attendance to the workshops. 11. Payment should be made to Alior Bank: 95 2490 0005 0000 4530 5405 9285 (Swift code: ALBPPLDW). 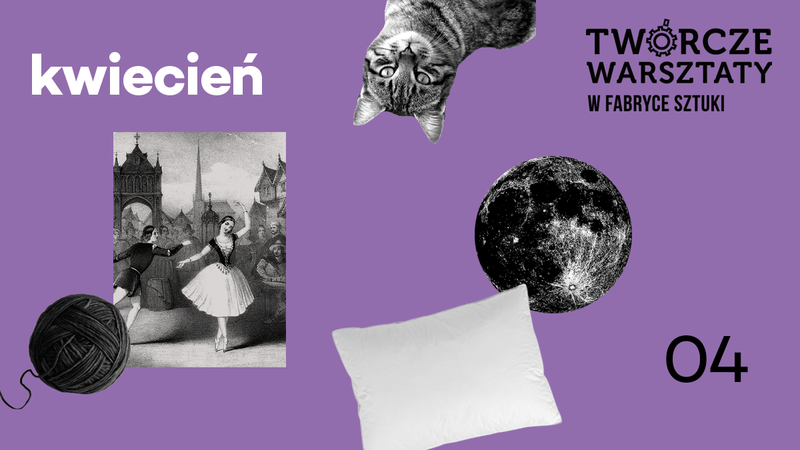 The title of the transfer must include the name of the participant and the form "Intensywne Warsztaty Teatru CHOREA". 12. The organizer may issue a VAT invoice. 13. The organizer accepts the applications to the workshops until the 20th May 2019, to the e-mail address: chorea.warsztaty@gmail.com. The application should include bio, CV or short motivation letter. 14. CHOREA Theatre will return the payment to the sender's account if the participant resigns before the 20th May 2019. Resignation reported after 20th May 2019 means that the participant can not recover his payment. 15. At 20th May 2019, CHOREA Theatre will send e-mails to all participants, informing whether a workshop group has been created. 16. If the optimum number of participants will not be collected, the workshop will be canceled and all payments will be returned to the sender's accounts. 17. The organizer has the right to cancel the workshops for reasons beyond his control at a later date. In that case all payments will be returned to the sender's accounts. 18. The workshops will be conducted in Polish and English. 19. The final interpretation of the regulations belong to the organizers. Please read the regulations before making a workshop payment. Making a payment is unequivocal with the acceptance of terms and conditions of the regulations.